The concept and definition of dating is fast changing for the better. Thanks to the advent of apps like Tinder, the concept has now transcended age groups and geographies. Sugar dating is the modern kind of dating where romance meets finance. For the uninitiated, a typical sugar relationship involves a wealthy benefactor, known as a sugar daddy/mommy, supporting his or her other half, often known as the sugar baby, financially. In sugar dating, both genders form a relationship with a mutual understanding that all relationships are negotiable and that finances play a major role. Financial support can range from monthly allowances to paying for college tuition and settling debts. “As per a study, financials is the number one reason for divorces in the world. 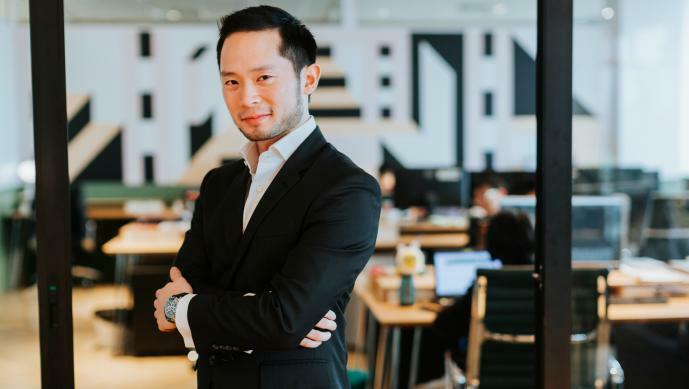 This proves that not only does money make the world go round, but money also makes it easier for us to fall in love,” says Darren Chan, Founder and CEO of The SugarBook, a sugar dating app based in Malaysia. For sure, sugar dating has been gaining popularity in the region, despite it being relatively taboo in a conservative Asia. In general, sugar dating contradicts a typical Asian mindset, hence it is often perceived negatively. As per a SugarBook survey, the main reason for this is the misconception that sugar dating is just another form of prostitution. Rolled out in January 2017, the SugarBook app, he says, enables members to create ‘honest and transparent’ relationships with affluent members across the world. It works as a conventional dating platform, except that its members are sugar daddies/mommies, who are financially capable. They not only support sugar babies financially, but are also willing to share their wide influential network of friends and experiences. “At Sugarbook, we advise our members to always state down their unique wants and needs before getting into any relationship. This ranges from stating down their monthly allowance expectations to relationship preferences –usually known as ‘no-strings-attached relationships’, or if they would prefer monogamy relationships,” he explains. Since inception, SugarBook claims to have witnessed an exponential growth, signalling a growing acceptance of the concept of sugar dating in the society. “While we are not able to provide a specific number, we can share that SugarBook has seen an astonishing influx of users. In January 2018 alone, we saw a 400 per cent growth rate. We currently have over 180,000 members from all over the world, and each person spends an average of 18 minutes on our app — the highest in the industry,” he boasts. Of the 180,000 members registered with SugarBook, 70 per cent are sugar babies, which include students, single mothers and divorcees. They are predominantly from Malaysia, Singapore, the US, Hong Kong and Thailand in that order. The startup operates on a subscription-based model. Members get to choose between US$19.95 and US$39.95 per month. The app — available on both Android and iOS platforms– is free for sugar babies. The company will soon introduce a premium membership model. “At Sugarbook, we understand that privacy is key and that recognition to our esteemed members is of utmost importance. Therefore, we plan to introduce a new membership known as The Diamond Members Club. The new membership attracts 20x more attention from sugar babies and proves that you have what it takes to be considered as the ultimate sugar daddy. The Diamond Members Club is our most exclusive status symbol ­­– requested by the affluent and distinguished members of our society e.g. business owners, bankers, lawyers, and politicians where privacy is of the utmost importance,” Chan elaborates. SugarBook, he claims, has been profitable for over a year. While money is not a big challenge yet, the management is looking for funding and is in close contact with a potential investor from Hong Kong, who has recently been giving guidance and advice to the founders. “Our goal is to expand to not only a bigger market but a more developed market such as Thailand, Hong Kong, Japan and across Southeast Asia. For that reason, an investment of any kind would be a huge added advantage,” he noted. Currently available only in English and Chinese, Sugarbook will soon add three-four more languages to its platform as it grows. What has been your biggest learning yet? “To hire people that is a great cultural fit, and to let go of the bad apples immediately. More importantly, compassionate management — to establish a culture that believes in values derived from traditional families, e.g. love, sharing and caring. To conclude, we work hard, we have fun and we get things done,” he signs off. The post The SugarBook, a sugar dating platform in Malaysia where romance meets finance appeared first on e27.